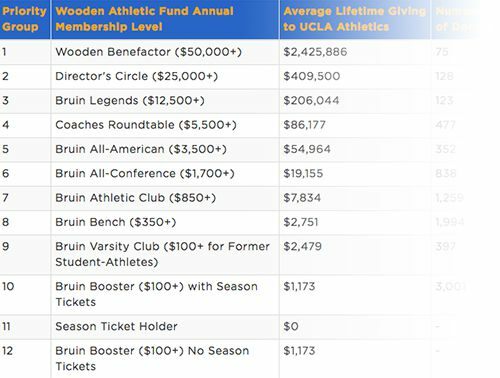 All benefits are based upon availability and are allocated on priority basis by WAF Membership Level and lifetime giving to UCLA Athletics. To ensure access, please renew your gift by June 1, 2019. All Wooden Athletic Fund members are invited to our annual WAF Member Appreciation Day where we say "thank you" for all that you do to help UCLA student-athletes succeed in the classroom, in competition and in the community. Every dollar that you contribute to the Wooden Athletic Fund goes directly to support the educational efforts of our 700 plus student-athletes. This includes but is not limited to academic support, life skills development and scholarship costs. The cost of an in-state tuition, room, board and books has more than doubled in the last ten years. In total, UCLA Athletics is estimated to provide over $14.8 million in scholarship support for student-athletes in 2016-17. All donors who renew their gifts ONLINE by the June 1, 2019 renewal deadline will receive an exclusive UCLA bobblehead. All Wooden Athletic Fund members receive a membership card with your name, donor level and current year of participation in the Wooden Athletic Fund. Donors also receive periodic email updates with exclusive member benefit offers. Wooden Athletic Fund members are acknowledged by name and membership level in the game programs for all UCLA football games. 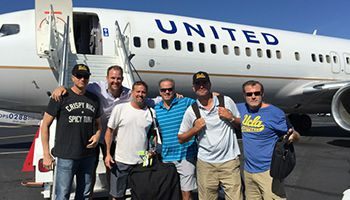 This full-color, quarterly publication takes you inside the happenings and tradition of UCLA Athletics with photos, in depth articles and much more. 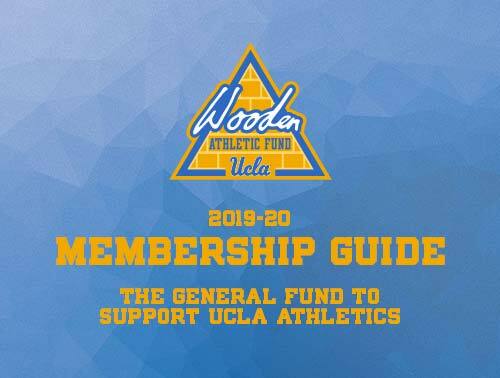 This monthly newsletter highlights the impact of Wooden Athletic Fund support on UCLA's student-athletes and keeps WAF members aware of upcoming events and exclusive benefits of membership. Each spring, UCLA's student-athletes call each and every WAF donor to express their gratitude for their generous support. Each donor will receive a call from one student-athlete. The Wooden Athletic Fund Donor Recognition Plaque is located inside the UCLA Athletics Hall of Fame. This plaque will remain a permanent piece of the Hall of Fame and be updated annually to acknowledge the ongoing commitment of our most generous supporters. 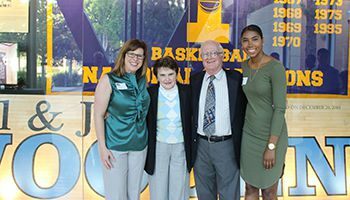 Members of the Wooden Athletic Fund will have the first opportunity to purchase Bowl Game or NCAA Tournament tickets when they become available. Ticket allocation is based upon Wooden Athletic Fund membership level, lifetime giving to UCLA Athletics and years as a season ticket holder. This exclusive phone line is dedicated specifically to providing Wooden Athletic Fund members with the best possible service for any and all UCLA Athletics ticket needs. Hours are Monday-Friday 10:00am-4:00pm. 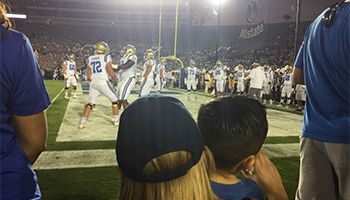 All Wooden Athletic Fund members have complimentary general admission access for two (2) to all regular season UCLA Athletics home events, other than UCLA Football, Men's Basketball and all post-season events. Admission may be granted by presenting one's Wooden Athletic Fund membership card upon entry to the event. Donors who contribute at the Bruin All-Conference level ($1,700) or above are offered the opportunity to purchase UCLA campus parking. 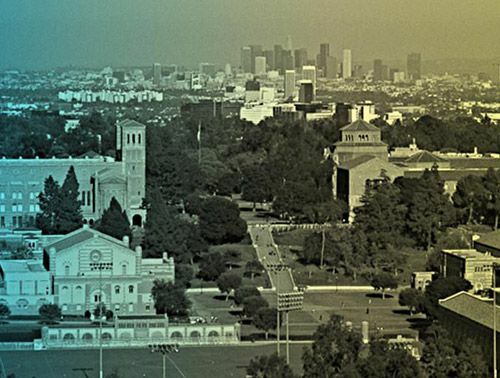 Director's Circle donors ($25,000) and above have the opportunity to request a complimentary UCLA campus parking pass. Enter the Rose Bowl on gameday through an exclusive security line and experience a quicker entry to the Rose Bowl by showing your Wooden Athletic Fund membership card. 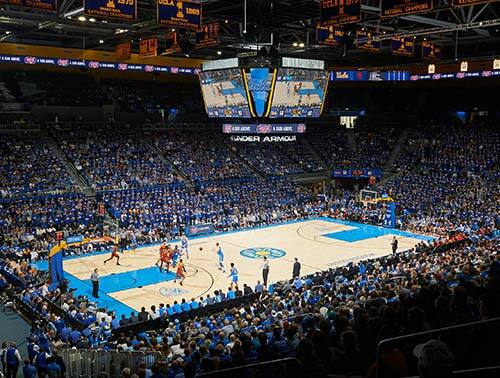 This exclusive club offers exclusive concession items and complimentary snacks, coffee and desert along with a full bar, meal reservations and multiple high-definition TVs before, during and after Men's Basketball games at Pauley Pavilion. 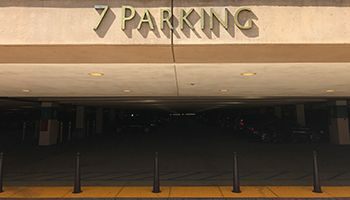 Personalized parking in the best available location for football games and valet parking at men's basketball home games is offered to all Director's Circle ($25,000+) and John R. Wooden Benefactor ($50,000+) level supporters of the Wooden Athletic Fund. Donor must purchase season tickets to qualify. Travel on Exclusive WAF Donor Trip. 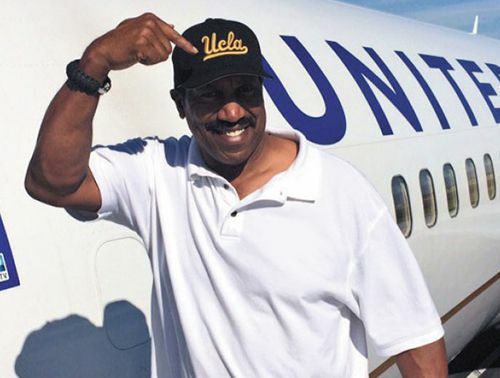 Accompany UCLA Athletics aboard our exclusive donor charter to a 2019 away game. Away game travel is based on availability and will be allocated based on WAF donor priority. Additional fees may apply. Visit with UCLA Athletic Director Dan Guerrero and our outstanding group of head coaches at our private Director's Dinner each Spring. Transfer any of your UCLA Football or Men's Basketball season tickets to another account without incurring a transfer fee. 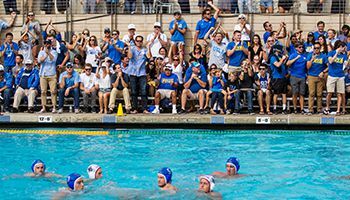 Each fall, WAF members at the John R. Wooden Benefactor ($50,000+) level receive an exclusive gift in appreciation for their support of UCLA's student-athltes. The Wooden Athletic Fund invites you to join us on a tour of all of our athletics facilities on campus during the WAF Member Appreciation Day event. All members of the Wooden Athletic Fund are invited to get the exclusive opportunity to "kickoff" or "tipoff" the season with UCLA Football or UCLA Men's Basketball student-athletes and coaches in these two events preceding the UCLA Football and UCLA Men's Basketball seasons. 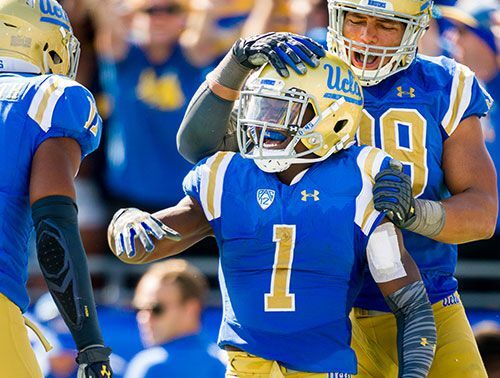 Wooden Athletic Fund donors are invited to join student-athletes, coaches and staff from UCLA Football and Men's Basketball at their team banquets following each season. 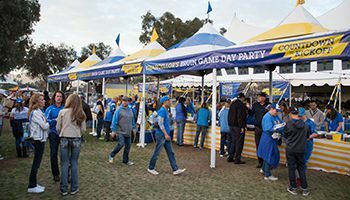 The Chancellor's Bruin Game Day pre-game tailgate party in Rose Bowl Lot H prior to each UCLA Football home game features catered food, full bar, and flat screen TV's. Access begins at the Bruin Athletic Club ($850+) level and complimentary admission is offered beginning at the Coaches Roundtable ($5,500+) level. This unique experience allows WAF donors to watch team warm-ups up close and personal from the sideline. Advance RSVP is required. 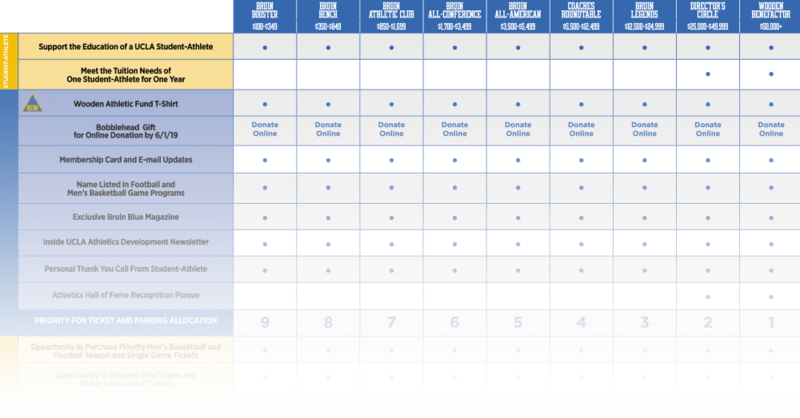 Game allocation based upon WAF membership level and lifetime giving to UCLA Athletics. 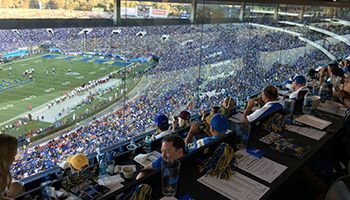 This exclusive experience offers donors a unique view of a UCLA Football home game from the comforts of our Wooden Athletic Fund suite. Experience includes premium catered food and soft drinks with a cash bar. Advance RSVP required. Game allocation based upon WAF donor priority. Enjoy an invitation to the annual UCLA Athletics Hall of Fame induction. 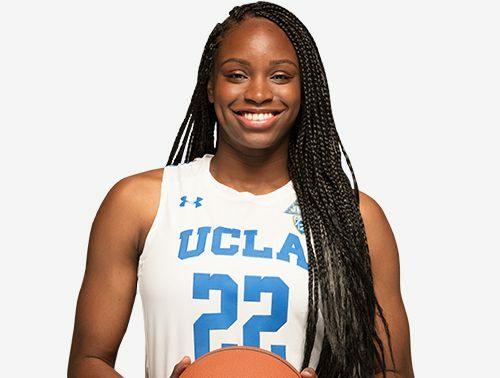 Have the opportunity to see in person as UCLA Athletics inducts a new class of extraordinary former student-athletes. 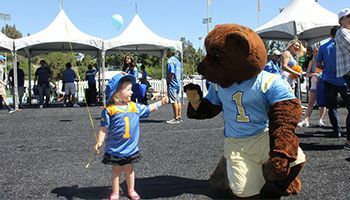 Enjoy sideline access at a UCLA Football spring practice followed by a private meet and greet with the coaching staff. 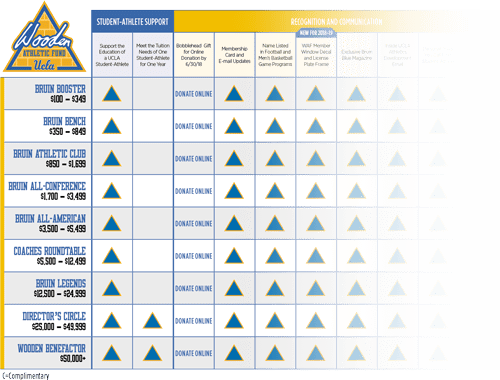 All Wooden Athletic Fund members are acknowledged by name and membership level in the game programs for all UCLA football and men's basketball home games. The cost of an in-state tuition, room, board and books has more than doubled in the last ten years. In total, UCLA Athletics is estimated to provide over $15.5 million in scholarship support for student-athletes in 2017-18. All donors who renew their gifts ONLINE by the June 30, 2015 renewal deadline will receive an exclusive gift.